Get ready for the ultimate chocolate affair with this decadent gateau au chocolat; it demands to be loved. 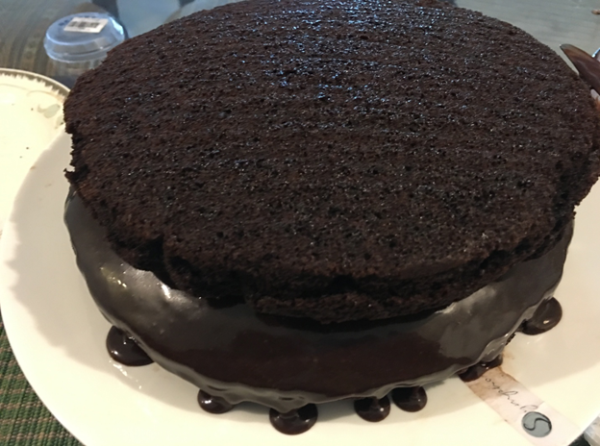 When it comes to a showdown of desserts, no matter how fancy a dessert may be, it can never beat a basic chocolate cake. No matter how stressed you are, chocolate cake will always have your back, because ‘stressed’ when spelled backward is ‘desserts’. 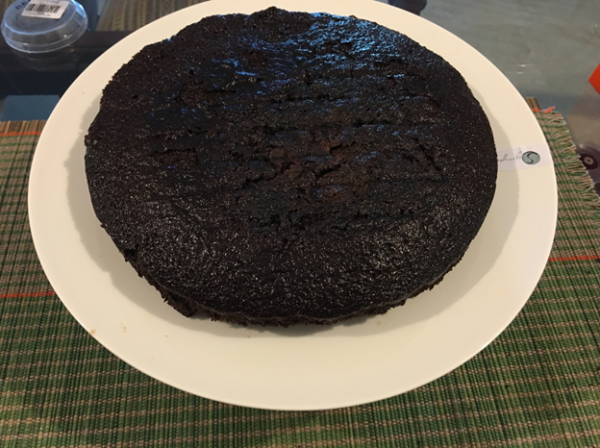 I have been doing tricky recipes over the past few weeks, hence this time around, I decided to stick to my childhood sweetheart – chocolate cake. I was never a fan of baking, up until last year. 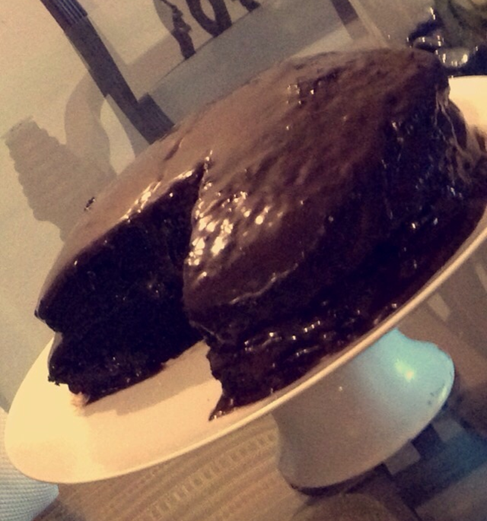 Since then, I feel the easiest thing to bake is a chocolate cake. What dessert can be better than a chocolate cake when it comes to a celebration? Be it a birthday, graduation party or an anniversary, chocolate cakes always steals the show. 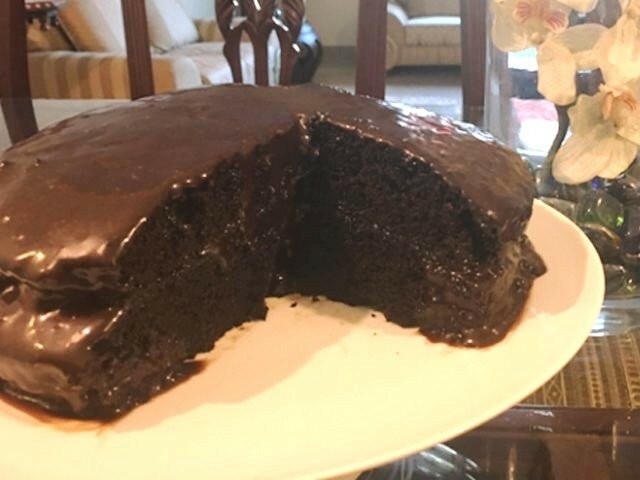 The most commendable thing about this moist and goeey chocolate cake is that it requires no fancy expensive ingredients. 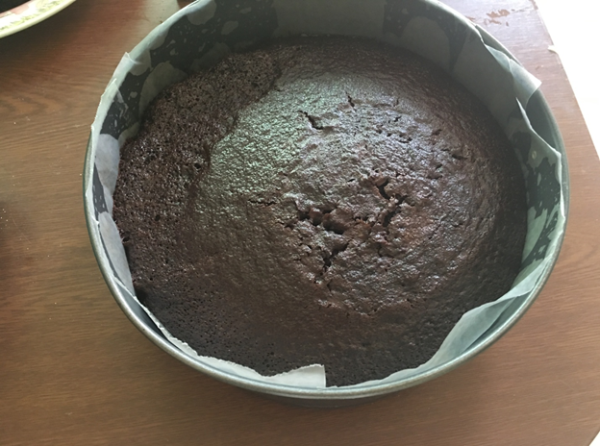 I had baked this particular cake for my mother’s birthday dinner; everyone assumed that the cake was from a high-end bakery, but when my mother’s friends found out that I had baked it, they were extremely surprised. One of my mother’s friends actually asked if it’s easy to find all these ingredients at a local supermarket. I was amazed by the innocence of this question and surprised how people associate tasty food with a lavish pantry. She was astonished when I told her that not only are all these ingredients easily available at any local supermarket, but are also probably already available in your pantry. 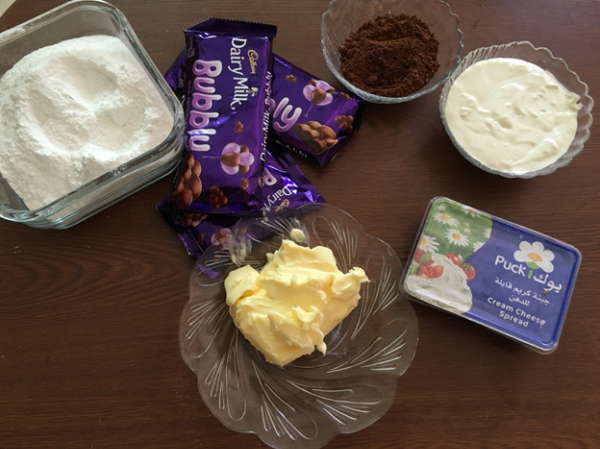 You can easily make this cake without going to the supermarket. 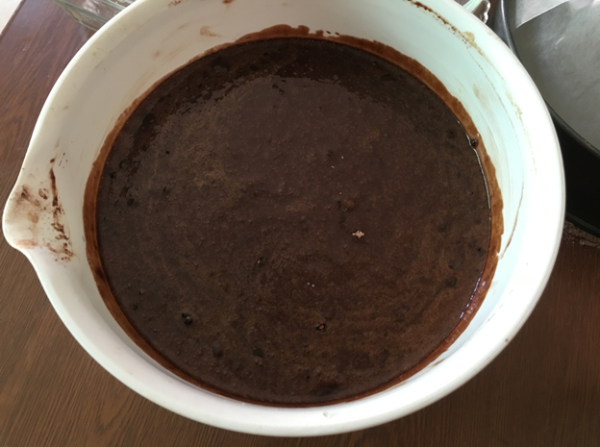 I have tried a lot of cake recipes; some of them ended up being dry, some were too soft, but believe me, this is a fool-proof recipe. Chocolate cake with ice cream is a world filled with wonders. So forget your calorie intake, just find a spoon and dig in. One surprising element in this cake is the addition of boiling coffee. This is going to be the magical element in your cake, which is going to add all the gooeyness and colour to your cake. 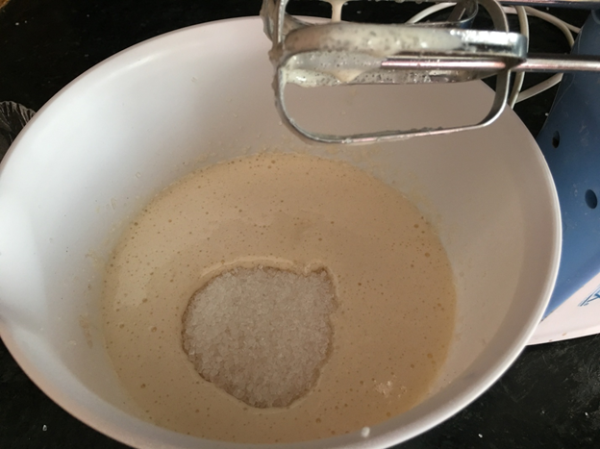 Icing sugar – 2 ¼ cup (You can easily make icing sugar by grinding some sugar in a coffee grinder. Make sure it’s very fine or else frosting will be granular). 1. Pre-heat oven to 180 Celsius. 2. 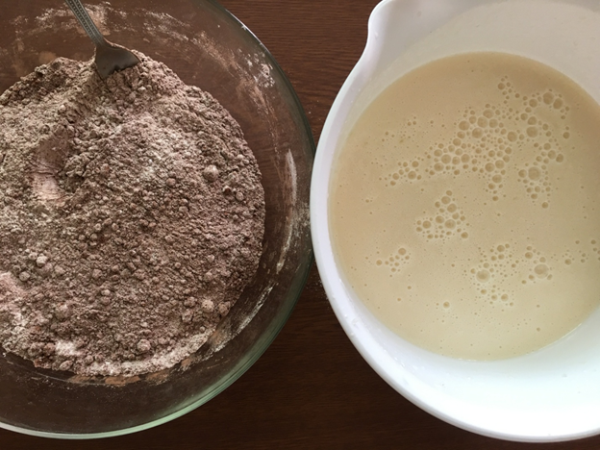 Put all the dry ingredients (flour, cocoa powder, baking soda and baking powder) in one bowl and mix together. 3. 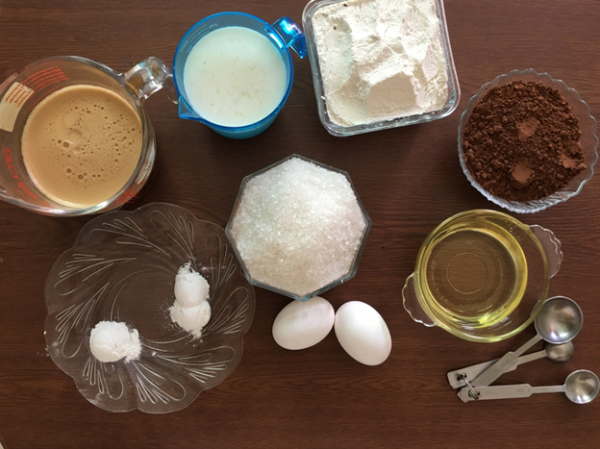 Beat eggs and sugar in a different bowl. 4. 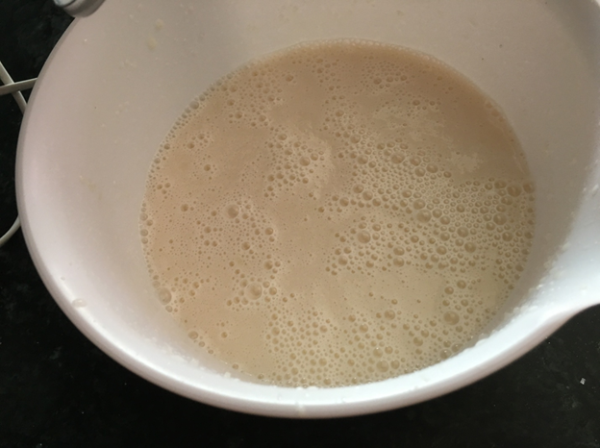 Add buttermilk and oil to the eggs mixture and mix slowly. 5. Slowly add in the dry ingredients. 6. Add coffee to the mixture with the beater still on. 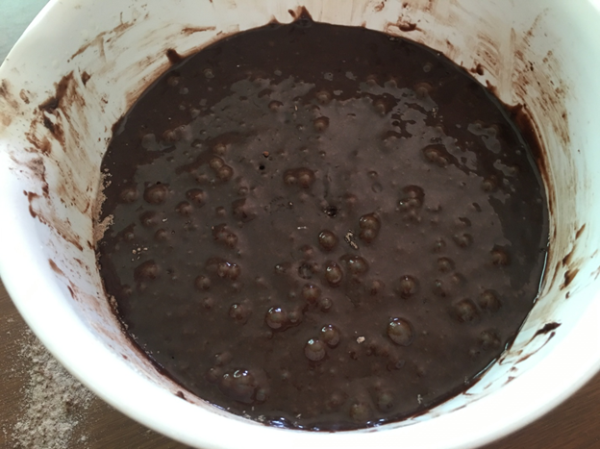 Your mixture will become glossy within seconds. 7. 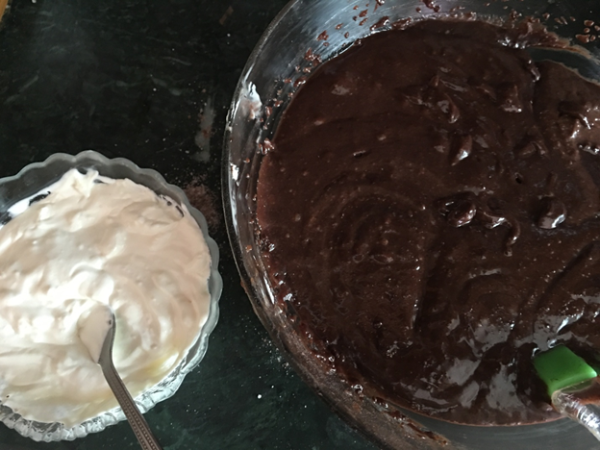 The batter for your decadent cake is ready. Pour half of it in the baking mould lined with parchment paper and save the other half for the second tier. If you have two moulds, then divide it evenly in two portions. 8. Put it in the oven to bake. 1. 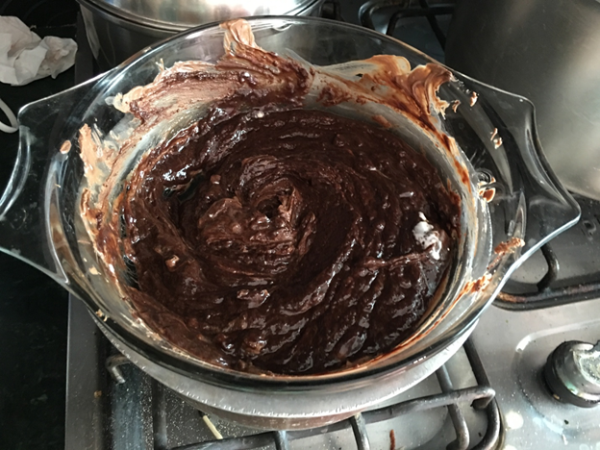 Place the chocolate on a double boiler and let it melt. 2. 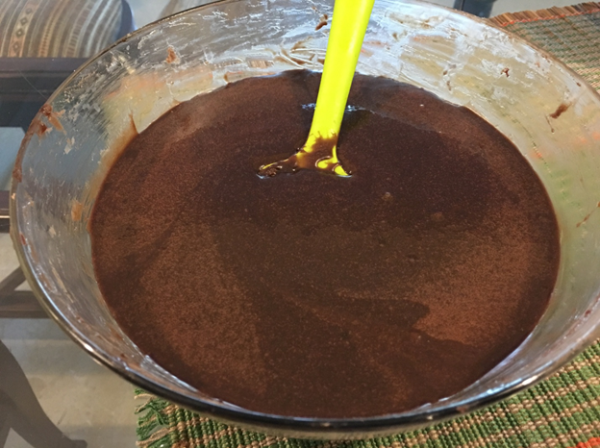 Pour icing sugar and cocoa powder in a bowl and mix. 3. Add softened butter and cream cheese to it. Mix it slowly. 4. 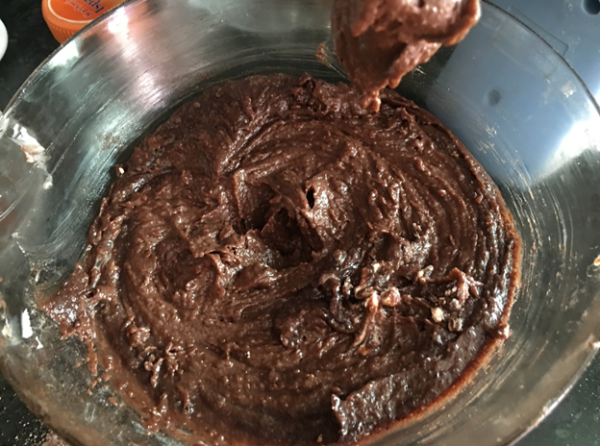 Once it turns into a paste-like mixture, add the melted chocolate into it along with hot coffee. The addition of coffee will enhance the colour. 5. Add crème fraiche (sour cream) to it. 6. Your rich creamy frosting is ready. Feel free to lick your fingers. 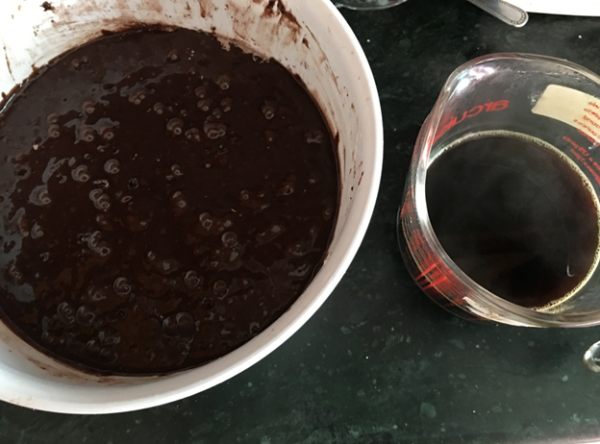 If you feel it’s still a bit granular, put it on double boiler and it will automatically become extremely smooth. 7. 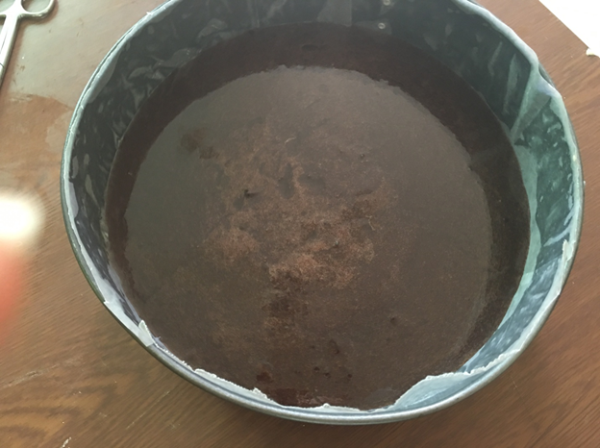 Place the first layer of the cake on a cake stand and cover with generous amount of frosting. Spread it evenly. 8. Place the other layer, inverted (with its muffin top facing downward) and cover with frosting on the top and sides. This chocolate cake speaks for itself; there’s no need to embellish it with garnishing. Cut yourself a slice and eat it with a scoop of ice cream.